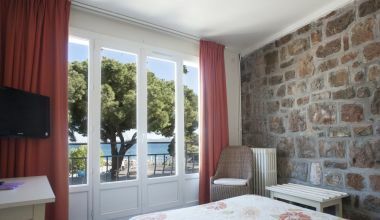 At the back of the hotel, overlooking the garden, is a small apartment with two bedrooms with en suite bathrooms, a veranda converted into living / dining area and a small kitchen. 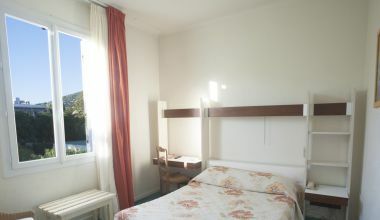 The apartment is available for weekly rentals (7 days) and is at ground level. Sun loungers are available for those who wish to make the most of the Provencale style garden. The veranda converted into a living / dining area.